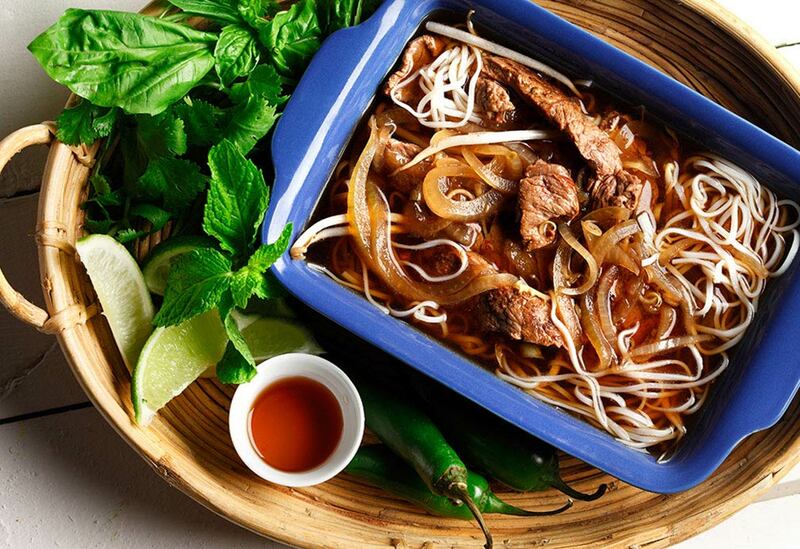 This recipe was inspired by Pho, a traditional Vietnamese soup. It breaks from tradition slightly in the preparation method, but offers very similar delicious flavors and textures. Try the recipe using vegetable stock and tofu to change it up. 1. In large saucepan, heat 1 Tbsp (15 mL) canola oil over medium heat. Add beef and cook for about 2-3 minutes. It wont be cooked through. Set aside. 3. Meanwhile, place rice vermicelli in bowl and cover with very hot water. Place lid on top and allow to sit for about 3 minutes. 4. Prepare garnish plate: Arrange limes, basil, mint, cilantro, jalapeno and small bowl of fish sauce on a plate. 5. Add beef to stock mixture and cook to desired doneness. To serve: Divide rice vermicelli and sprouts evenly in 4 bowls. Pour hot broth-beef mixture over top. Garnish as desired from the garnish plate. 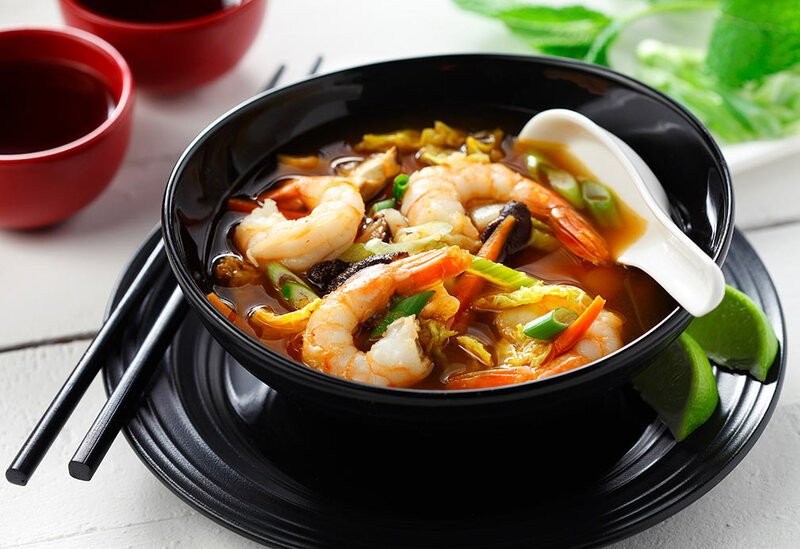 This earthy Asian soup is perfect to warm you up on a cold day and canola oil's light taste won't interfere with the soup's layered flavors. Add red pepper flakes if you like more heat! 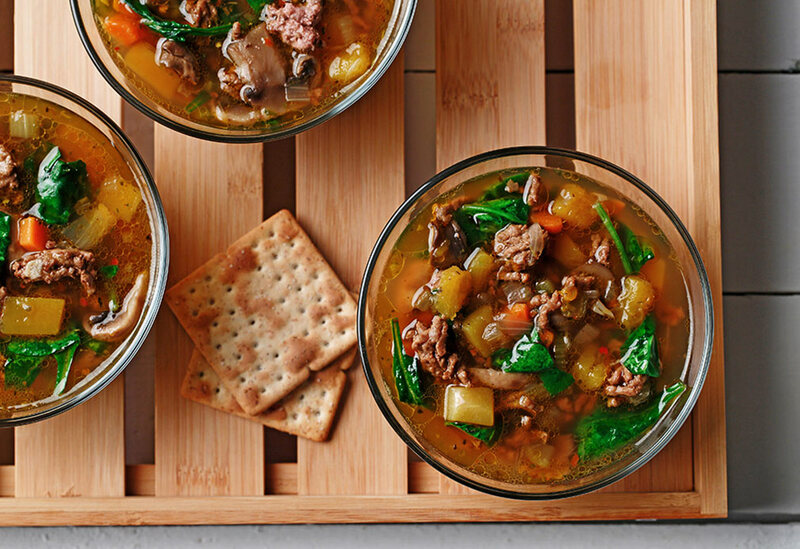 This hearty, chunky soup is perfect for any cold night and makes enough for lunch leftovers the next day! Or freeze the rest for up to 3 weeks. Lean beef and heart-healthy canola oil help keep saturated fat to a minimum.